St. George's Channel, Coast of Wales. Lewis and William Morris (fl. 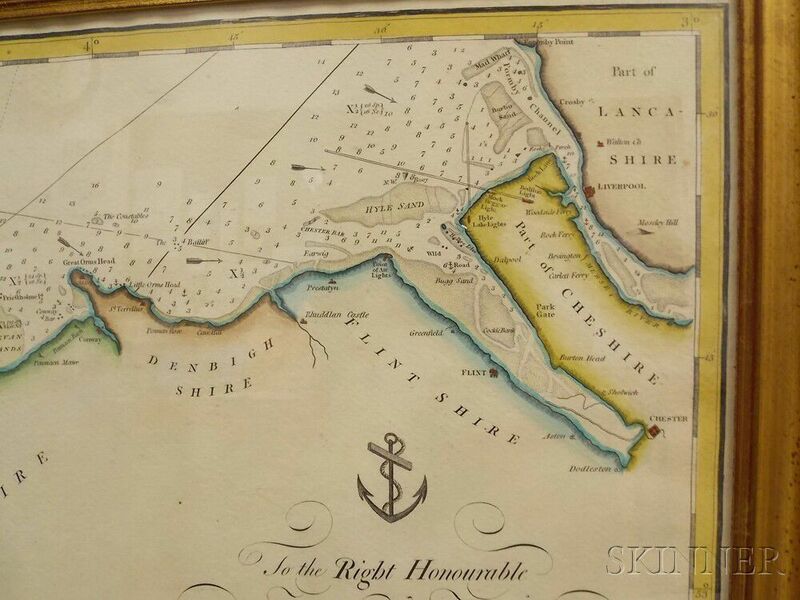 circa 1750-1800) Chart of St. George's Channel &c.
St. George's Channel, Coast of Wales. Lewis and William Morris (fl. 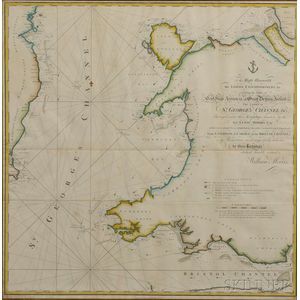 circa 1750-1800) Chart of St. George's Channel &c. St. George's Channel, Coast of Wales. Lewis and William Morris (fl. 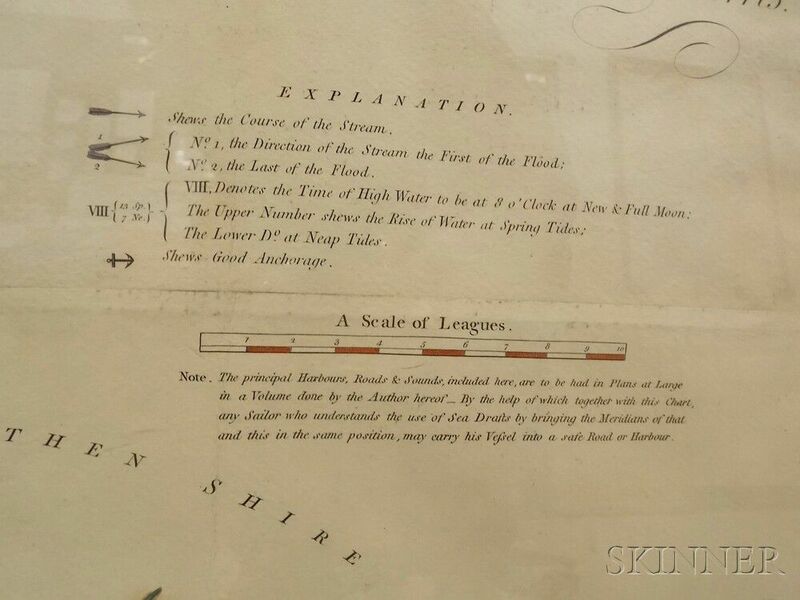 circa 1750-1800) Chart of St. George's Channel &c. St. George's Channel, Coast of Wales. Lewis and William Morris (fl. 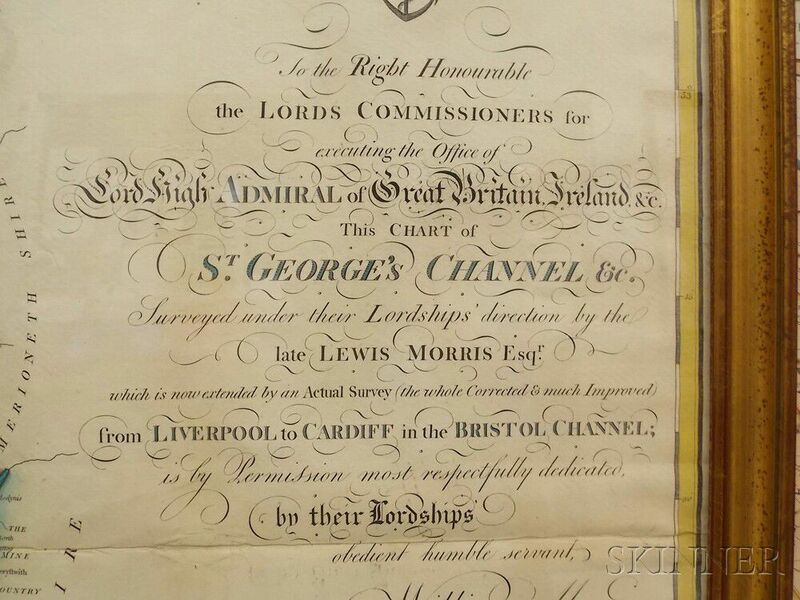 circa 1750-1800) Chart of St. George's Channel &c. St. George's Channel, Coast of Wales. Lewis and William Morris (fl. 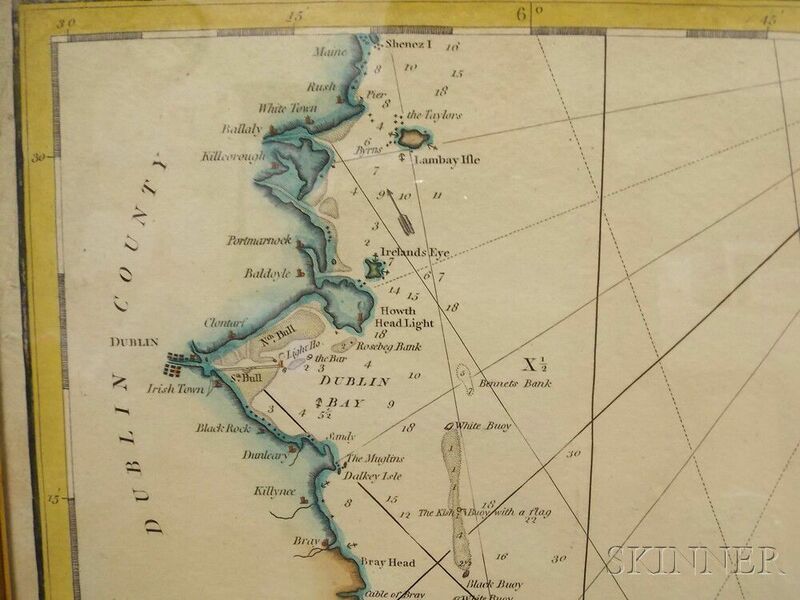 circa 1750-1800) Chart of St. George's Channel &c. St. George's Channel, Coast of Wales. Lewis and William Morris (fl. 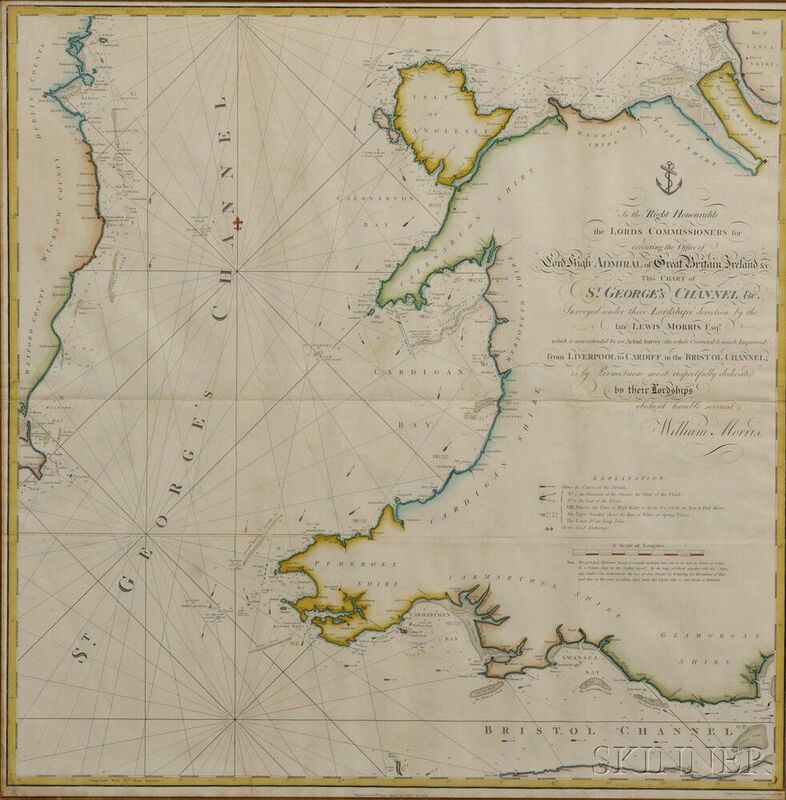 circa 1750-1800) Chart of St. George's Channel &c.
St. George's Channel, Coast of Wales. Lewis and William Morris (fl. 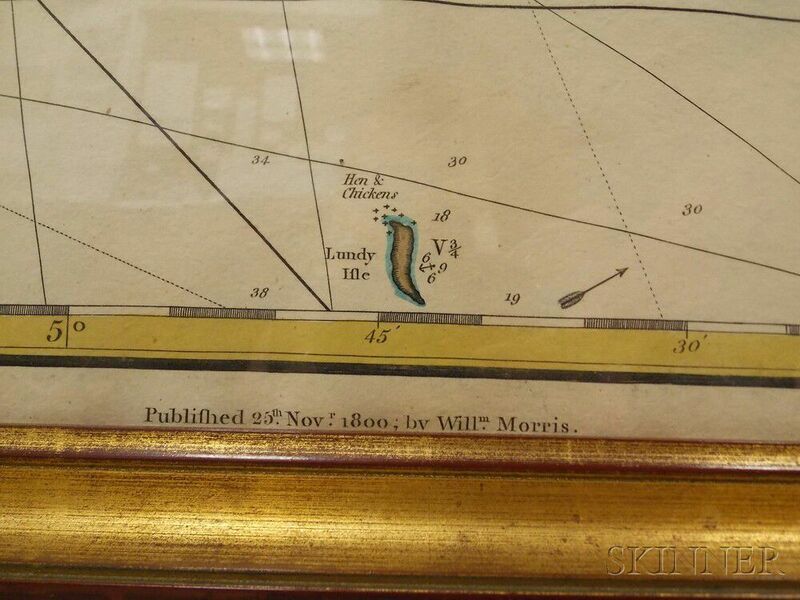 circa 1750-1800) Chart of St. George's Channel &c. Shrewsbury: William Morris, 1800. Very large copper-plate engraved map on paper, printed on two sheets pieced together, with central horizontal fold, hand-colored, framed, 35 x 35 1/2 in. The Morrises, father and son, made important contributions to Welsh map-making with this and many other detailed charts, published in atlases in 1748 and 1801. Adams, John Quincy (1767-1848) Retained Secretarial Copy of Letter Signed, 1 May 1821. Adams, John Quincy (1825-1829) Autograph Letter Signed, 10 January 1832. Artists' Notes and Letters, France, 20th Century. Barbary Pirates, Letter, 13 January 1794. Beardsley, Aubrey (1872-1898) Autograph Postcard Signed and Program.